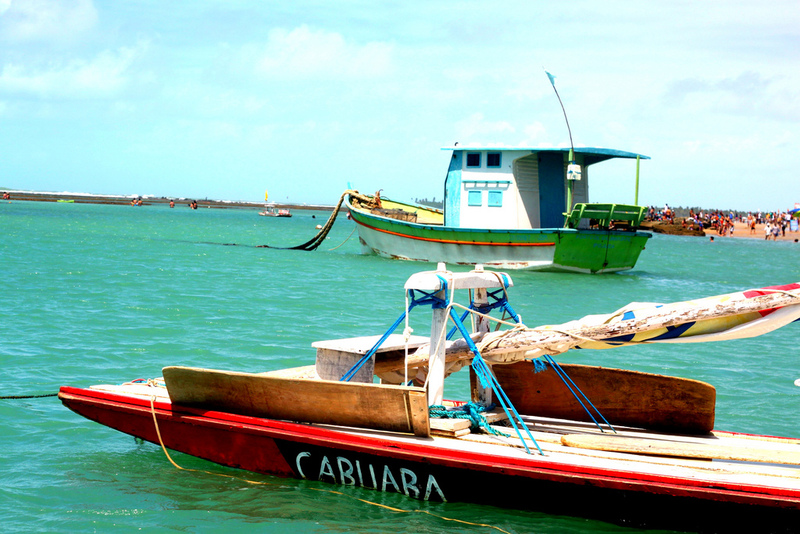 This past weekend was spent in Porto de Galinhas which is translated as Chicken Harbour. It’s name is derived from it’s history as a harbor for incoming slaves. During the end of the 19th century the city of Recife began restrictions on the commerce of slaves so nearby ports were used instead. It was prohibited to use the word “slave” so when ships would arrive the phrase “there are new chickens in the port” was said. Boats anchored near the shore of Porto de Galinhas. Today, Porto de Galinhas is one of the most visited beaches for domestic travelers and has been awarded Best Beach in Brazil year after year by the Brazilian Magazine ‘Voyage and Tourism’. Located just an hour north of Recife this beach town is a must visit with it’s small village of streets lined with restaurants, shops and an array of decorated chickens. 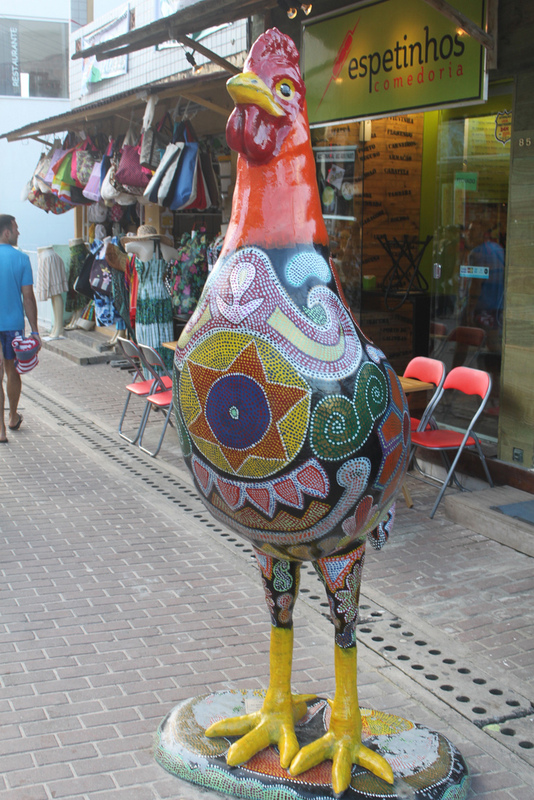 One of the many chickens found in Porto de Galinhas. Perhaps the most popular activity in Porto de Galinhas is the natural pools that are formed by the reefs located close to shore. There are two ways to visit the pools. First, you can stand in line to watch a brief video about the environmental importance of the pools and how not to disturb the habitat. Afterwards, you are given a bracelet and are led to the pools in groups where you can visit for 45 minutes. This is free to do. When the tide is low you can see the reefs from shore. The next option is to pay 15 Reals (about $7.50) for a boat ride to the reef with a personal guide. Once there the guide gives you food to feed the fish as well as points out all the different creatures found on the reef. In the deeper pools, you can join the fish for a swim. 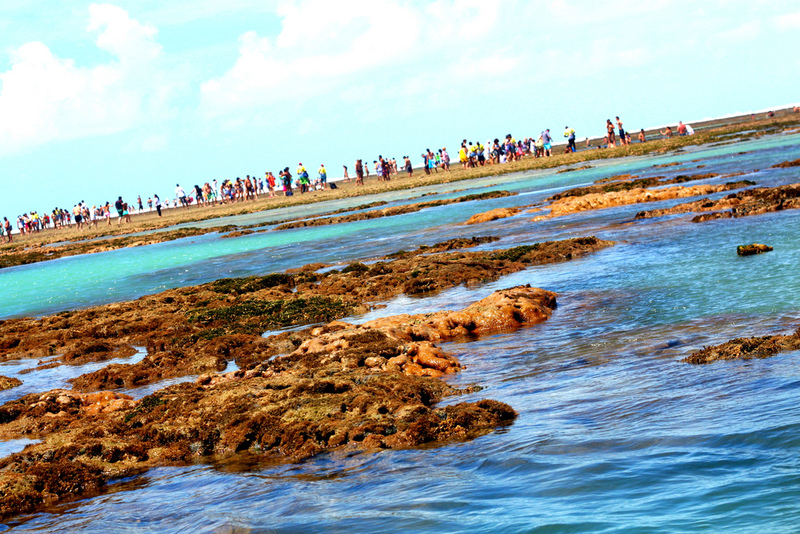 The natural pools found among the reefs. 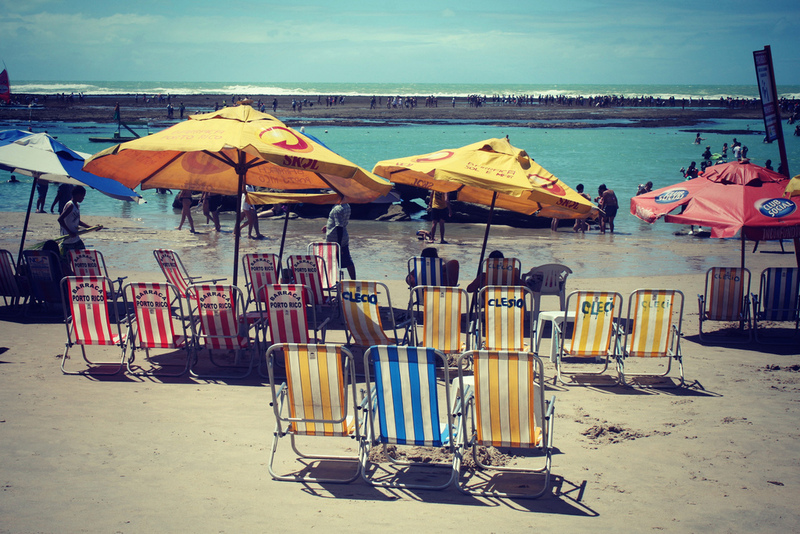 Porto de Galinhas is a nice day trip from Recife with buses that run frequently between the two cities. If you’d rather spend the night then there were many pousadas to choose from. With 10 people in our group, we rented a house for the weekend at a very reasonable price. The village of Porto de Galinhas. 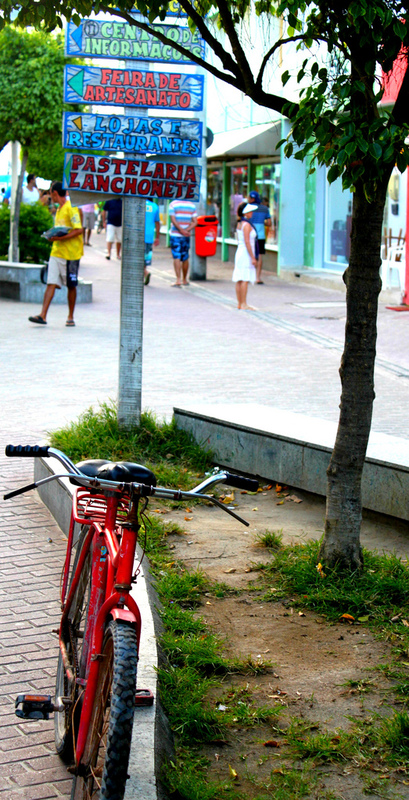 The best thing about Porto de Galinhas is its laid back atmosphere. Like any other good beach town the best things to do here is stroll the village streets, lay on the beach and enjoy the great food. Not a bad way to spend a weekend in Brazil.